Insects of the family Cercopidae are known as spittlebugs or froghoppers and are represented by 62 genera in the Neotropical region. One of these genera is Ocoaxo Fennah, 1968 with 30 species. The most recent species to be accepted into this genus, Ocoaxo costaricanus, was described by Nast (Ann Zool 33:93–101, 1975). Herein, two new species of Ocoaxo from Mexico are described. One of these new species forms a complex together with Ocoaxo assimilis (Walker) and Ocoaxo varians (Stål). The complex has economic importance in the mountainous areas of the states of Puebla and Oaxaca because it attacks Pinus spp. and causes a disorder called “pine decline.” Additionally, dichotomous keys were designed to identify the Ocoaxo Fennah groups and also the species of the subgroup bivittus. We thank the individuals and institutions who loaned Ocoaxo material: Cristina Mayorga Martínez Co-curator at CNIN; M. C. Martha Madora-Astudillo Curator at EBTLT; Jezabel Baéz-Santacruz and Delfino Hernández Curators at IEXA; Dr. Armando Burgos-Solorio Director at CLPV, Dr. Saul Sanchez-Soto Director at CECT; M. C. Eduardo R. Chamé-Vázquez Curator at CCFT; Dr. Jorge León Director and Manuel Girón Curator at CEFS; Dr. Antonio Gutiérrez- Martinez Director and M. C. Carlos Joaquín Morales-Morales Curator at CACH, and Dr. Bob Blinn Curator at NCSU. We also thank Maria Romero for reviewing the manuscript, Dr. Vinton Thompson (American Museum of Natural History) for contributing valuable comments and suggestions; Dr. Luis O. López Z. at NCSU for sending literature, my lovely friend Carolina (MPLYH) for hosting UC-V during the visit to NCSU, and Roman Emilio brother of UC-V who funded the visit to NCSU (2015) and Tijuana to meet with DCP (2017). This research was funded by the Consejo Nacional de Ciencia y Tecnología (CONACYT), grant # 540628/308701. 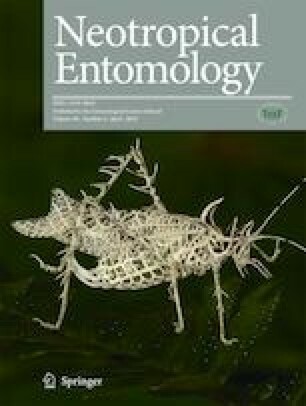 Two new species of the spittlebug genus Ocoaxo Fennah (Hemiptera: Cercopidae) from Mexico, and keys for the groups, group three, and first subgroup (LSID urn:lsid:zoobank.org:pub:174C6444-67CB-44A7-9879-4B2B5E79C347).